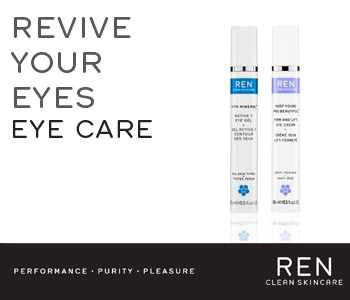 REN eye creams and gels are at the cutting edge of cosmetic science, utilising only highly potent natural bio-active ingredients to obtain the very best results. The delicate eye-contour area is left firmer, lifted, brighter and refined, whilst dark circles, wrinkles and fine lines are smoothed and reduced. The all-natural formula is free from skin-unfriendly chemicals, including parabens, silicones, petrochemicals and mineral oils ensuring that the REN eye cream range is suitable for all skin types.